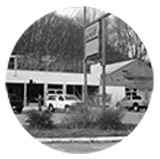 FCP Euro was established by Harry & Kathy Bauer in 1986 as a small brick and mortar auto parts store in Groton, CT. In 2001 the business was transitioned to fully online parts sales by their son Nick Bauer and long time friend Scott Drozd. Since those early days we have grown to become a leading industry supplier of Genuine and OEM Parts for European cars. Throughout this journey our values have remained the same: sell only the highest quality replacement parts, provide unparalleled customer service, and provide the do-it-yourself enthusiast with technical support to help repair and maintain their vehicles. Since inception we have continuously reinvested profits back into the company, and the incredible growth and dedication to our customers has put FCP on the Inc. 5000 Fastest Growing Private Companies list for 2011, 2012, and 2016. 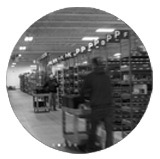 Located in Milford, CT, our 25,000 square foot Distribution Center stocks nearly $1.5 million of inventory and has developed a highly efficient distribution model that gives us the ability to ship out almost all orders placed within 24 hours. Inside the doors we’ve committed ourselves to building our company based on service, quality, and continuous improvement because we know that if our employees care deeply about both the quality of our products and service to our customers that it will be reflected in our long term customer relationships. 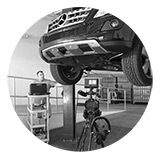 We know that the service and quality you will receive from all of us at FCP Euro is second to none. Our online catalog features over 350,000 SKUs including Volvo Parts, BMW Parts, Audi Parts, VW Parts, Mercedes Parts and Saab Parts from a wide variety of top-quality manufacturers. We pride ourselves on decades of providing the absolute best quality parts, industry leading customer service, and an unbeatable Lifetime Replacement Promise. We have always stood by one core principle: if we wouldn’t put it on our cars, we won’t sell it to you. Everything we sell is backed by an industry-leading comprehensive Lifetime Replacement Promise - which includes wear and tear items such as wiper blades and brake pads. We can do this because we’ve spent over a decade working with enthusiasts, technicians, and DIYers to fine tune a catalog that is accurate, simple, and of the highest quality. You can rest assured that you’re going to receive the highest quality parts for your car at the best price whenever you order from FCP Euro. Additionally, you will receive industry leading customer service with a 365 day return policy and free shipping over $49. 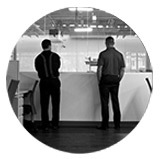 Our goal always is to keep our customers for life. It is our vision to be the most valued and trusted European online auto parts retailer in the world, through the relentless pursuit of quality and service. To achieve this, we continue to innovate our customer experience through technology and big-data. As we expand our ever-growing parts inventory for even more European makes and models, we are committed to maintaining the accurately handcrafted parts descriptions for each vehicle's catalog that has been the FCP Euro hallmark for the past 15 years. We recognize that the growth and success of FCP Euro over the years is because of customers like you who faithfully support our business. We appreciate your trust and will do our best to continue to give you the service that you deserve. Your continued patronage and suggestions are a vital part of our growth, and for that, we are most grateful.